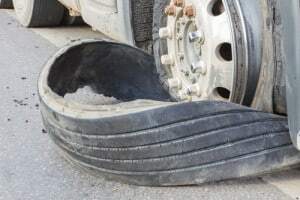 Every year in the U.S., tire problems cause at least 33,000 motor vehicle accidents, resulting in more than 19,000 injuries and about 500 deaths.1 While old or badly worn tires can be to blame, in many cases, defective tires are involved. When they are, victims can hold manufacturers and/or others liable for their injuries, suffering and losses. At the Amaro Law Firm, our Houston lawyers have extensive experience helping accident victims pursue the compensation and justice they deserve when defective tires (and other faulty vehicle equipment) cause harm. Diligent, tenacious and strategic, our attorneys know how to prove when defective tires caused an accident and how to maximize the recoveries for our clients’ claims. Hurt in a Crash Caused by Defective Tires? During your FREE consultation, we will review your potential claim, answer your questions and explain your rights and legal options. Free virtual and mobile consultations are available to anyone who cannot visit our offices. Mounting old or worn tires on a vehicle (which cause result from the fraudulent sale of old tires as new or lightly used). When regulators at NHTSA receive reports of tire defects, they will issue a recall. Tire manufacturers may also voluntarily issue recalls when they become aware of that their tires are defective. While recalls can be an effective way to reduce the number of defective tires on the roads, only about 1 in 5 defective tires is remedied through these recalls.1 The low success rate with tire recalls is due, at least in part, to the lack of a registration requirement for tire dealers. This makes it challenging for tire manufacturers to know who exactly has recalled tires, meaning that many impacted vehicle owners may never receive notification of tire recalls. You can check if your vehicle is subject to a tire (or other) recall using this tool provided by the NHTSA. Dealerships or vehicle rental businesses. While we understand that compensation can never reverse permanent injuries and losses, we also know how crucial recoveries can be to providing survivors and families with the financial means to seek treatment, focus on healing and rebuild their lives. A Houston personal injury lawyer at the Amaro Law Firm can help you seek justice and financial recovery if you or a loved one has been hurt in a wreck caused by defective tires. Call (877) 892-2797, text (281) 612-8024 or email our firm for your FREE consultation and important answers about your options for recovery and justice. We are ready to help you advocate your rights, build the strongest possible claim. The Amaro Law Firm’s history of extraordinary representation and success in defective tire (and other personal injury) claims has earned us glowing testimonials from former clients, as well as 5-star ratings on Google and Facebook.